You might be thinking to yourself, "Whoa, that's crazy. You can't drink a banana." We're here to tell you that you can, and we're not just talking about making a fruit smoothie (although banana smoothies ARE quite delicious). We'll show you how! First off, it's impossible to drink a real banana as is. They're a solid, and for something to be drinkable, it needs to be a liquid. That means normal methods are out of the question. That just means that you need a different kind of banana—one that can store liquid inside of it! This Banana Flask fits that description perfectly! 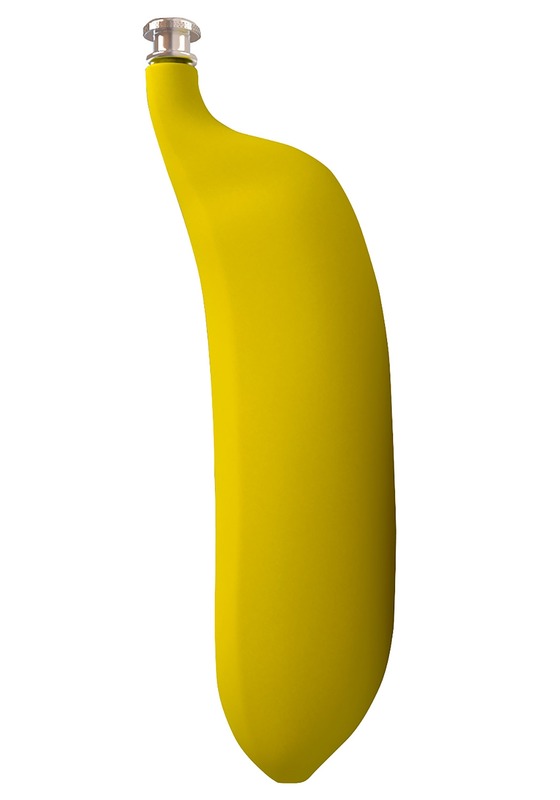 Yes, when you use this Banana Flask from Island Dogs, you can engage in the impossible task of drinking a banana. It's easy! Just open the twist off lid, fill it with your favorite beverage, whether that's juice or your favorite adult beverage is up to you. Then, when you feel the urge to drink a banana, simply twist off the lid and take a swig. Of course, this accessory is a must-have for anyone planning on dressing up as a gorilla. It's the best way for you to bring your favorite drink along with your while staying completely in character. Quality made banana flask. Doesn’t everyone need one?